September 8, 2018 2:55 pm. Tavirun has emerged as a Caulfield Guineas and Victoria Derby chance after winning at Moonee Valley. Co-trainers Trent Busuttin and Natalie Young are eyeing Classic success with another son of Tavistock after a tough on-pace win from three-year-old Tavirun at Moonee Valley. The trainers won the 2016 Group One Australian Derby with Tavago, a son of the stallion Tavistock, and they have had this spring’s Victoria Derby (2500m) in mind for Tavirun. 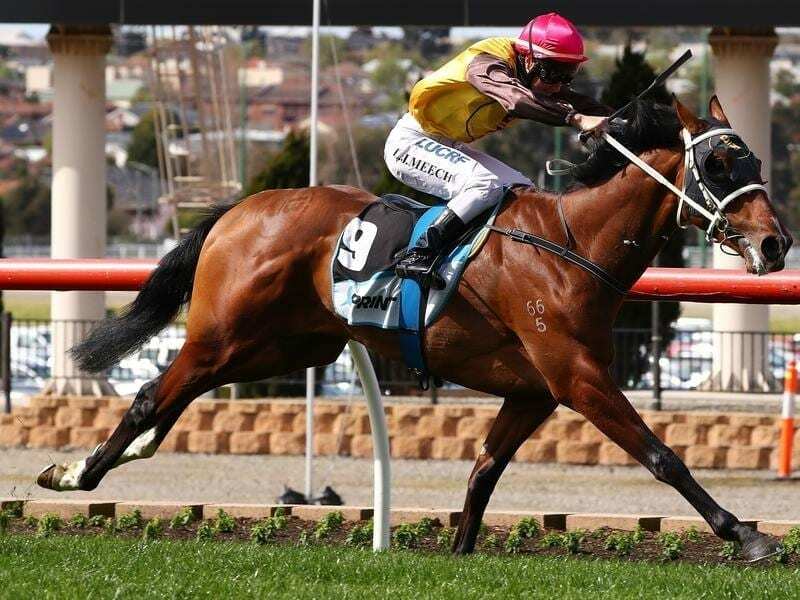 But the Group One Caulfield Guineas (1600m) now also looms as a genuine option after the gelding overcame a wide draw to lead all the way in Saturday’s 1Print Handicap (1500m). “We actually thought he was going to get over a bit more of a trip but he has run a good time and he’s definitely gone through the gears nicely today,” Young said. “He’s just a lovely horse. He’s got the best stride and we’ve found another nice Tavistock. “We were initially thinking of getting him on a Derby path but the amount of toe he has shown today we might have to look towards the Guineas. Tavirun, in his third start, made the step to city grade after breaking his maiden at Donald at his previous start last month. From barrier nine of 11 jockey Linda Meech pressed forward on Tavirun ($16) to find the lead, with $2.20 favourite Approach Discreet just off him in second. Despite being challenged early in the home straight, Tavirun rallied on the inside and edged clear again late to defeat Muswellbrook by 1-1/2-lengths with Aristia a neck away third.